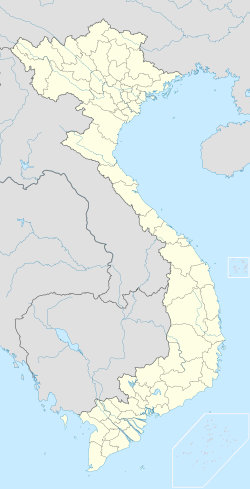 District 10 (Vietnamese: Quận 10) is an urban district (quận) of Ho Chi Minh City, the largest city in Vietnam. As of 2010, the district had a population of 232,450, an area of 6 km². It is divided into 15 small subsets which are called wards (phường), numbered from Ward 1 to Ward 15. District 10 borders Tân Bình District to the north, District 5 to the south, District 3 to the east, and District 11 to the west. ^ "HCMC's Population and population density in 2010 by district". HCMC Office of Statistics. Retrieved Feb 4, 2014. This article about a location in Ho Chi Minh City, Vietnam is a stub. You can help Wikipedia by expanding it. This page was last edited on 15 February 2019, at 03:33 (UTC).